WOW, simply AMAZING. This is the first book of the author's I have read, and it sure will not be the last. The Last Letter will take you on high and lows, with laughter and tears. At times I sobbed, thinking how could this happen. How much can one person endure? The author did a fantastic job having the reader relate to the characters. At times I screamed in my head at Beckett, to be honest with Ella. Ella was very clear that her one hard limit is lies. So when Beckett continues to lie to her, I had a lump in my throat waiting for Ella to find out. Beckett is the type of man every woman deserves, every woman dreams of. He comes from a very broken past, one where he never experienced love. But that all changed when he began to receive letters from Ella. When Ryan suggested to Ella to become a pen pal to his best friend, Chaos in the Army, he had ulterior motives. BOTH, Ella and Chaos were alone, they both needed to open up to people and allow people to see them for who they really were. 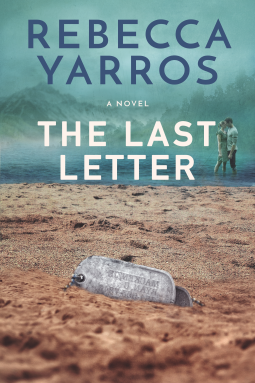 The Last Letter is a book that will stay with you for a very long time. The words and characters will wrap around your heart and take a little piece of it with them when you finish this story. 5 Stars for sure. I received an ARC from the publisher in exchange for an honest review. Be sure to Pre-Order The Last Letter, it is a book worth reading !! !